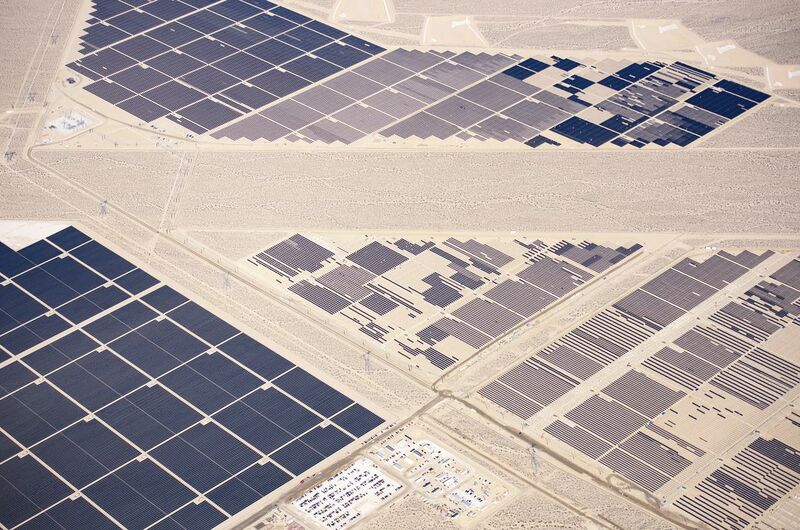 The future is here - numerous solar panels are being constructed in the middle of the Nevada desert. Clean and renewable energy is the only way to move forward. Aerial image (shot from a plane). Date Uploaded: Nov. 11, 2016, 12:40 p.m.